Goldfish grow for their entire lives. 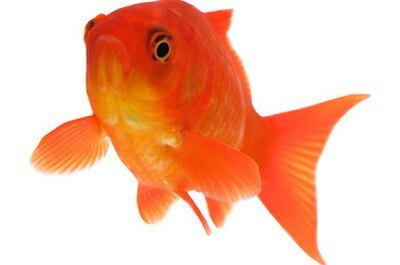 Although goldfish are frequently sold as bowl fish requiring little care, these sensitive animals can grow 10 inches or longer and can live for more than 10 years. Proper supplies are vital for ensuring excellent husbandry. Goldfish fry can live in 10 gallon aquariums for the first few months of life. Thereafter they need a minimum of 10 gallons of water per fish and 20 gallons per fish for larger fish. Your aquarium water must be treated with dechlorinator to remove harmful chlorine. It's also helpful to have water clarifying treatments available in case your water gets cloudy. Water pH should be around 7.4, so purchase pH testing strips to regularly check the water. Your goldfish needs 12 hours of light per day and can jump out of his tank, so invest in an aquarium hood with a light to prevent escape and provide lighting. Proper water filtration is vital for ensuring your fish's long-term health. Install a water filter and change the cartridge at least once per month. An aquarium siphon and gravel vacuum will help you quickly drain tank water for regular cleanings, and a bucket will give you both a place to drain the water into and a location where you can place your goldfish during cleanings. Purchase a fish net that is at least double the width and length of your largest goldfish so that you can easily catch fish. Goldfish can survive on flake food, but are healthiest when they eat a varied diet. Bloodworms, mosquito larvae and brine shrimp are excellent sources of protein. 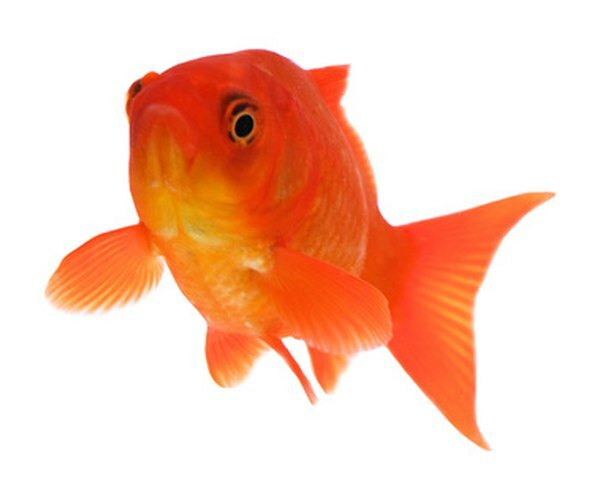 Goldfish thrive when given lots of vegetables such as mustard greens, collards and other dark, leafy greens. Fruit is healthy in small quantities, but too much fruit can cause digestive problems, so give small pieces of chopped blueberries, grapes and other fruit two to three times per week. If you are planning to breed your fish, a small breeder tank can help you catch goldfish after they are born. Aquarium ornaments can help you create an attractive tank with plenty of locations for skittish fish to hide. However, make sure ornaments aren't sharp and still allow goldfish plenty of room to swim. Gravel reflects light and is safe so long as it is clean and purchased from a reputable pet store.